MTS Builders, Inc. is located in Manchester, Connecticut and is currently building homes in the Connecticut and Rhode Island community. The company was founded in 1985 by Michael Bugnacki who obtained a degree in business from Eastern Connecticut State University. Michael is a hands-on builder involved in every aspect of the building process. MTS Builders success as a premier custom builder is due to an excellent reputation based on our quality, value and customer satisfaction. Utilizing a hands-on approach to building gives us an edge over the competition allowing us to give the customer exactly what they want. We take pride in the fact that many of our new customers are referrals from previous customers. 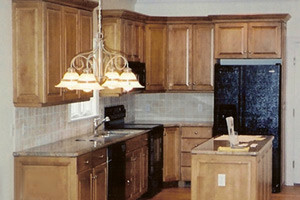 MTS Builders prides itself on having skilled tradesman for every phase of the construction process. This enables us to provide the customer with a high quality finished product. MTS Builders can provide you with house plans of build off your own set of plans; we do everything from 1,200 square foot homes to 12,000 plus square foot homes. We can help a customer locate a building lot or review a building lot they are thinking of purchasing. It is always a good idea to have a builder look at a lot before you actually purchase it.